Have you had Sai Oua? The northern Thai sausage also called Chiang Mai Sausage? These incredible spicy and fragrant sausages, hailing from the mountainous area of Chiang Mai, captivated us almost to the point of obsession. 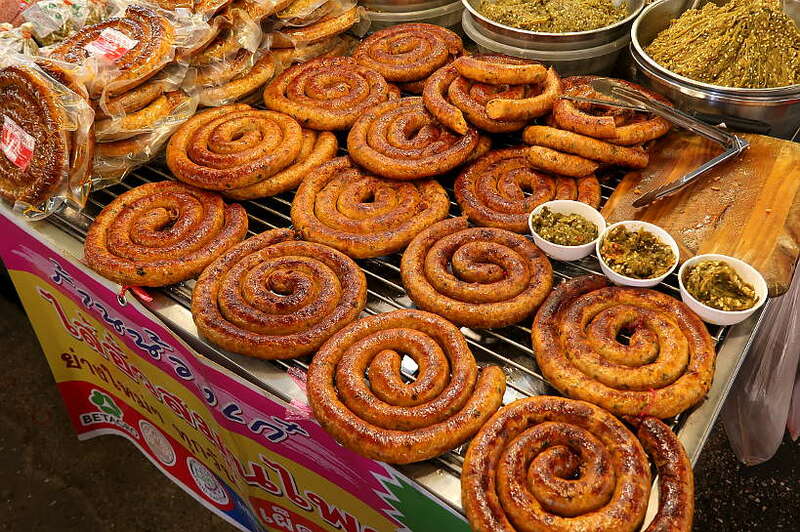 Sai oua sausages are one of Chiang Mai’s, if not northern Thailand’s most famous foods. The region’s most popular dish is Khao Soi, which we promptly fell in love with two years ago on our first visit to Chiang Mai. With the sai oua northern Thai sausages, it was love at first bite. On our recent visit to Chiang Mai, we made it a point to dig deeper into this local specialty. We took a journey to learn how to make sai oua from the queen of sai oua in Chiang Mai. Join us as we uncover the mystery of this northern Thai sausage delicacy. Sai oua, also spelled sai ua are from northern Thailand with some saying the roots of these Thai sausages stem back to Burma or Laos. Interestingly, when we were exploring the local specialties in Luang Prabang, Laos, we discovered Laos sai oua, which are similar, but not as spicy. The word “ua” means to insert or fill in the middle and“sai” refers to the intestines. Together, “sai ua” means to stuff the intestines, in this case with minced pork, Thai herbs, and a chili mixture. Traditionally, northern Thai sausages we learned, were prepared in this manner as a way of preserving food for a couple of days. One of the ways we learn about local food specialties is by connecting with the locals. 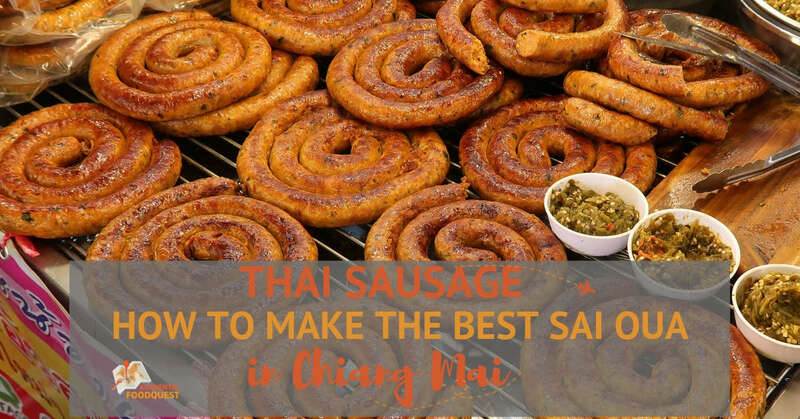 On a Chiang Mai northern food tour with A Chef’s Tour, we casually mentioned we were interested in diving deep into this Chiang Mai sausage and asked for their recommendations. We could not believe their response a few days later. They offered to arrange a private tour for us to learn how to make sai oua sausages from one of Chiang Mai’s most famous sausage makers. The lady we were to meet was the celebrated, auntie Rod, who has been featured in chef Gordon Ramsay’s TV show. We could not have been more thrilled and excited. On a Tuesday morning, we met Moui, our guide, who had accompanied us on the Chiang Mai Northern Food Tour by Truck. 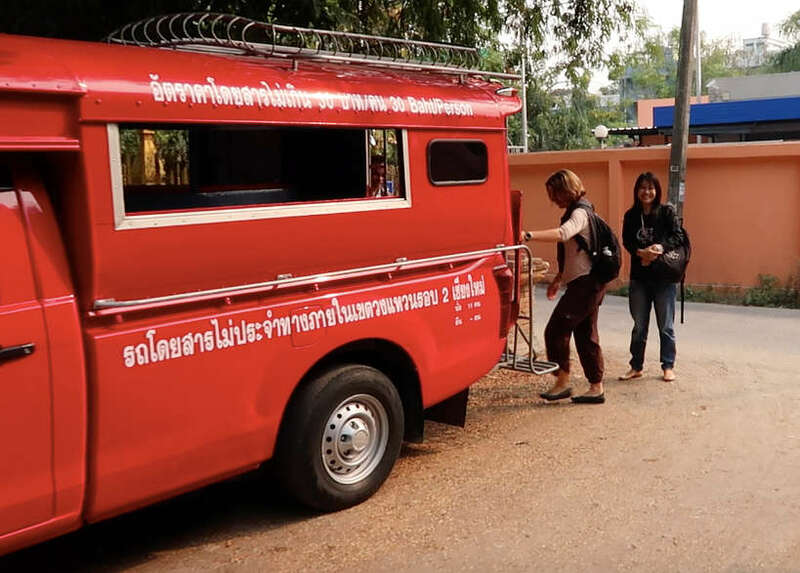 Traveling like locals, we took a rod daeng trucks (also called red cars by locals) and headed north out of Chiang Mai, to a suburb about 30 minutes away. On our ride over, Moui told us about auntie Rod, the queen of the spicy northern Thai sausages. For over 30 years, Moui, told us, auntie Rod has been selling sai oua sausages outside her home. Now, over 60 years of age and after a recent bout with breast cancer, she decided to retire. 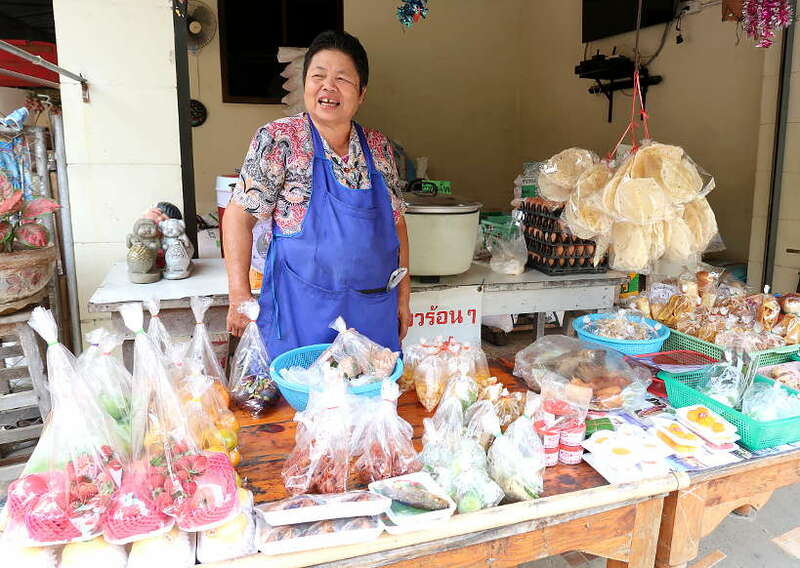 Her son and daughter-in-law now manage her business and make and sell these northern Thai sausages. Auntie Rod, nevertheless still cooks and specializes in making just 2 -3 northern Thai dishes on a daily basis, which she sells from her home. 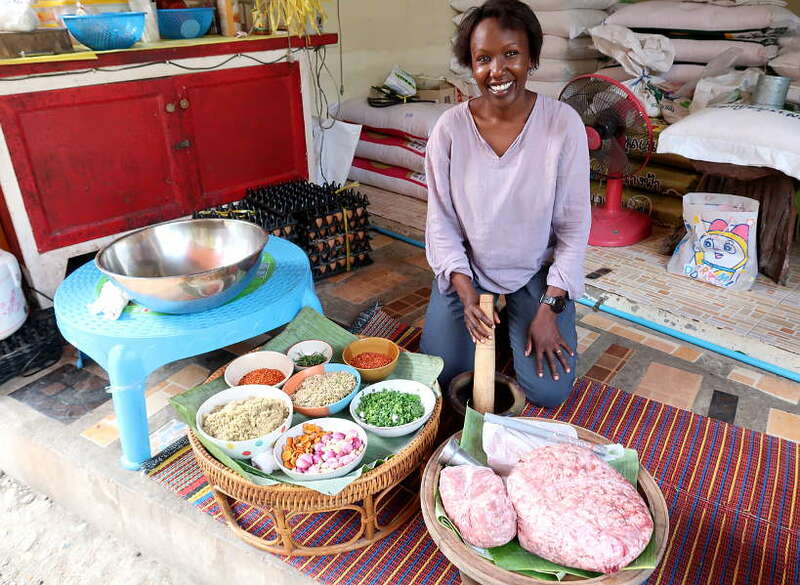 In addition, she still makes northern Thai sausage for special events, including classes on how to make sai oua sausages. Once we arrived, we were welcomed warmly by auntie Rod. 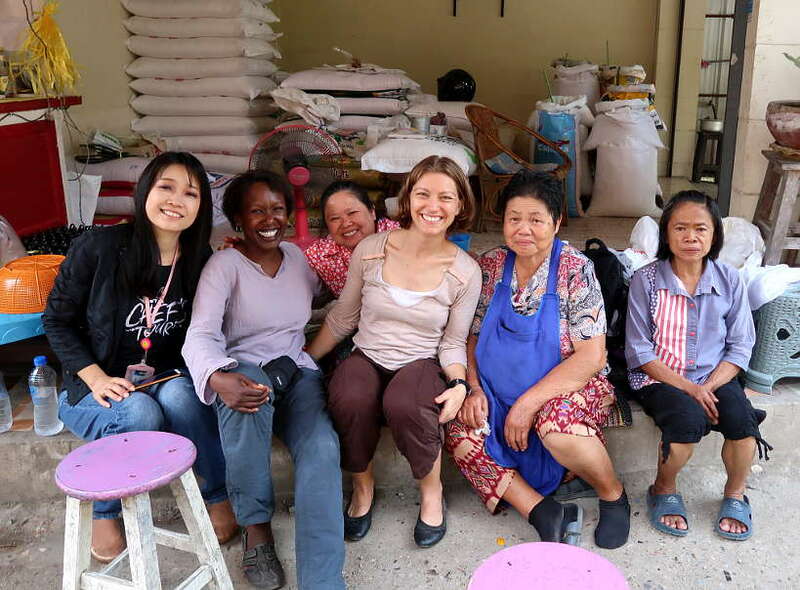 Even though she doesn’t speak any English, we could tell right away she was a fun loving lady, passionate about cooking. Assisting her for the day was her daughter in law as well as her younger sister, auntie Lada, who has been helping her make sai oua sausages for a number of years. All the ingredients we needed were laid out and ready for us to go to work on making the spicy northern Thai sausages. Already chopped, sliced and ground and sitting in bowls were the main ingredients we needed. In one bowl was a mixture of turmeric, shallots, and garlic. In another, lemongrass (sliced and ground). Two different kinds of Thai chilies were sitting in bowls, one spicy and one less spicy. There was also a bowl containing a mixture of spring onions and coriander and one bowl of kaffir lime leaves. And finally, there was one huge bowl of minced pork and casings made from real pig intestines. The recipe we were making was auntie Rod’s proprietary recipe she had created over the years. Every vendor has their own special way of making Chiang Mai sausages and some are better than others. Auntie Rod’s are considered some of the best sausages in the region. 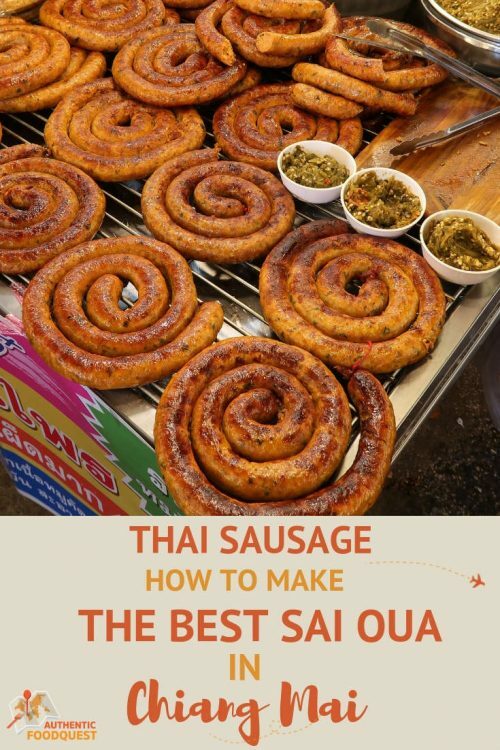 If you want to make sai oua sausages at home, feel free to follow this simple northern Thai sausage recipe. After getting settled, we started the hard work of making the sausages in a traditional manner. This meant using a mortar and pestle to grind and mix everything together. With Moui translating, we learned that when making large quantities of sai oua sausages, auntie Rod uses a grinder. However, the best northern Thai sausage, she tells us, are “the ones made by hand, with a mortar and pestle.”. Sitting cross-legged on the floor, we started by pounding the turmeric, shallots, and garlic together using a mortar and pestle. Not as easy it looks, we quickly learned from auntie Lada that there was a technique to gently combining everything together to release the wonderful flavors. As we pounded, auntie Rod would add ingredients along the way. At times, it was a pinch of salt, other times it was more spices. She was cooking by experience, taste, and intuition. It was clear we were working under the guidance of an experienced sai oua queen. We followed this rhythmic pace until we had crushed and mixed all the ingredients together. Stuffing the sai oua sausages was a comedy of errors. We’ve never stuffed sausages before, and learning how to make the delicious Chiang Mai sausages from the two skilled auties was a treat. Auntie Lada handed us one metal tube that looked like a funnel with a separate plastic tube to use to stuff the sausages. The instructions were simple. One of us was to hold the sausage funnel and stuff it with the sausage mixture. The other one was to manually hold the real pig casing in place and make sure the sausage mixture was coming out in one long coil, free of air bubbles or breakage. What sounded simple, was quite difficult in practice. The casing was extremely slippery and would continuously slip out of the metal funnel. The desired long coils of sausages would break at times. It was like trying to hold onto a slippery balloon and fill it with water. Using a makeshift sausage funnel and rod, she showed us how to gently hold the casing in place and not overestimate how much sausage mixture to put through the funnel. Like good students, we got better with practice. We eventually made beautiful coils of sai oua sausages. We were so proud, especially when auntie Rod, nodded with approval. As we were making the northern Thai sausages, auntie Rod was getting the charcoal grill ready for cooking the sausages. The setup was very rudimentary. 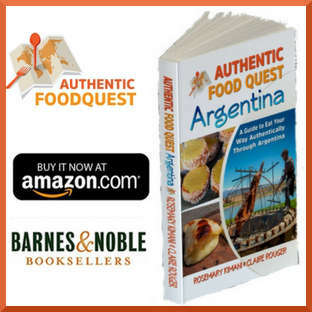 It was not the sophisticated Argentine grilling techniques we had seen in Argentina where grilling is an art form. This was simply a metal canister filled with charcoal with a wire grid placed above it. Sausages can be tricky to grill. You run the risk of the sausage either being too dry, breaking apart or even worse, cooked on the outside, but not enough on the inside. With no meat thermometer or timer, we cooked the sausages for about 20 minutes. Under the guidance of auntie Rod and her experienced daughter-in-law, we watched as the sausages turned to an orange-golden-brown color, cooked perfectly on each side. We were in awe. What started out as pounding a variety of ingredients had been transformed into our beloved Chiang Mai sausages. As the old proverb states, “the proof of the pudding is in the eating.” We were ecstatic when we took our first bites of the Thai sausages. “Perfect” is what we both said. The Chiang Mai sausages were moist, full of flavor and with the right amount of fat and pork. We couldn’t believe how well the northern Thai sausages had turned out. The way the Chiang Mai sausages are served is part of the presentation. 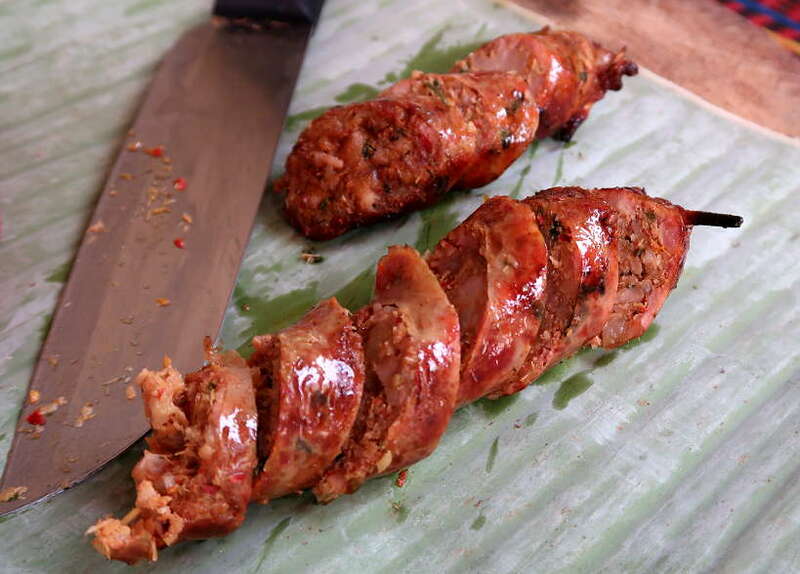 The sausages are sliced at a slight angle and served on a banana leaf. This is the traditional presentation style we learned. In total, we made five kilos worth of sausages. Given that we could not eat that many sausages, we shared the order in half with our guide, Moui. Apparently, the sausages can be stored in the freezer for up to 30-days. Had we been staying in Chiang Mai for a longer period of time, we would easily have gone through all the sausages. Sai oua sausages were traditionally made and eaten at home. Today, you’ll find the best Chiang Mai sausages at the local markets. 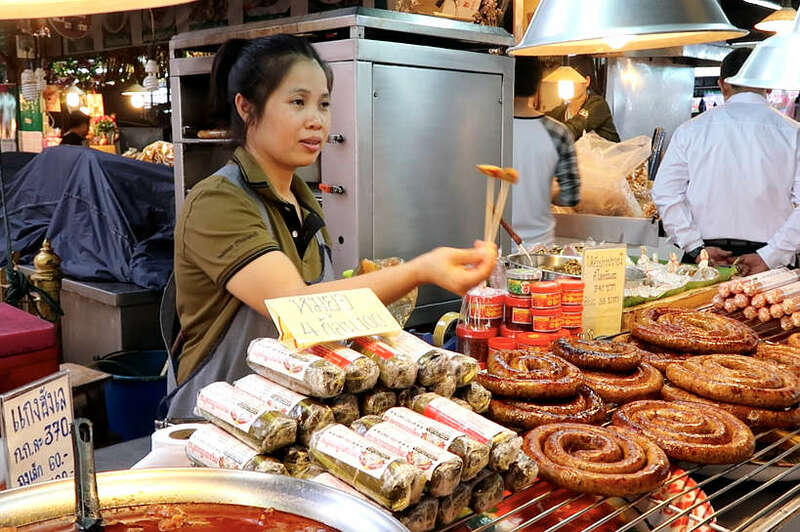 On a Chiang Mai food tour with A Chef’s Tour, we visited two local markets with vendors selling exceptional northern Thai sausages. This local market in the Chang Phueak neighborhood of Chiang Mai is a gem for food lovers. 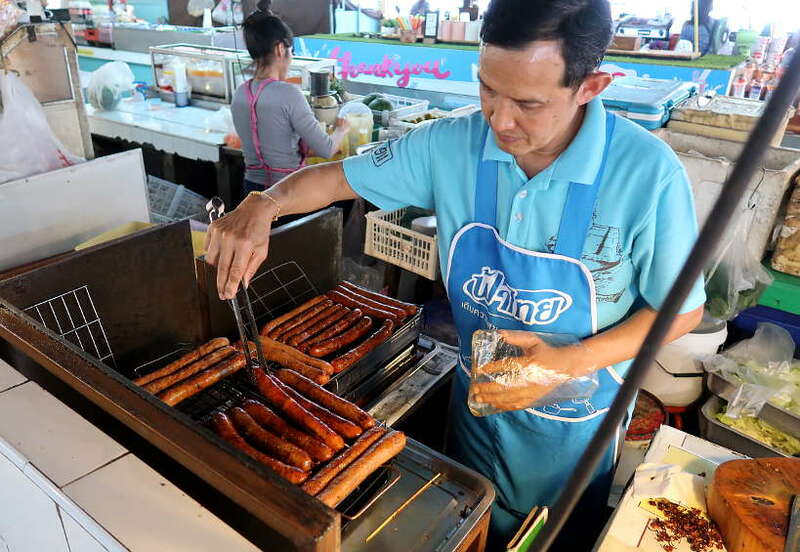 The Sai Oua vendor is a local star and has received citywide recognition for making some of the best sai oua sausages in Chiang Mai. On the top of her stall is the recognition she has received as well as articles where she has been featured locally. The fragrant northern Thai sausages sell for 25 Thai Baht (approx $0.79 USD) per sausage. Other popular markets where you can find sai oua sausages are Warorot Market, Chiang Mai’s largest food market. and Ton Payom Market, close to Chiang Mai University. At these markets, the typical price of sai oua sausages is about 300 Thai Baht per kilo (approx $9.48 USD). Our partner for the Chiang Mai sausage cooking experience was A Chef’s Tour who focus on providing local and authentic unique tour experiences. We had previously partnered on a food tour in Chiang Mai to explore the best of northern Thai food. 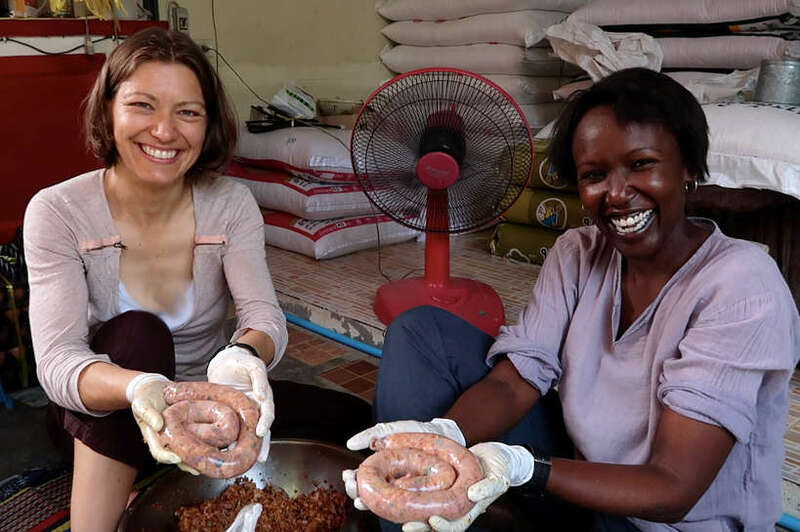 With their deep roots in the local Chiang Mai food community, they were able to organize the Chiang Mai sausage making experience with the queen of sai oua. 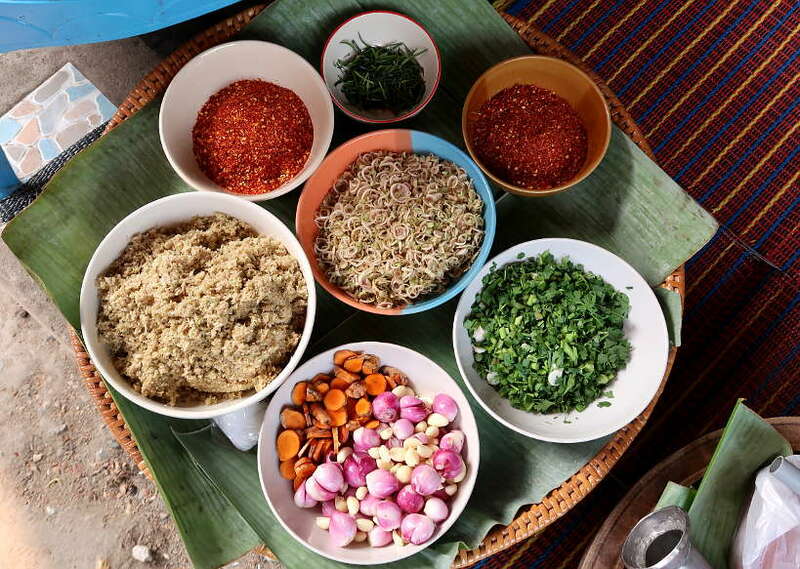 A Chef’s Tour offers group and private tours of Chiang Mai. 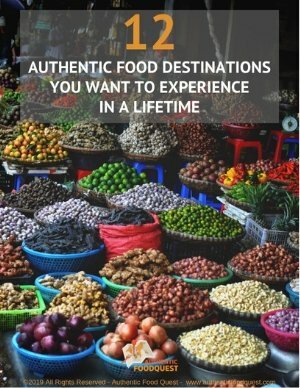 If you are looking for something unique and interesting to have for lunch, don’t hesitate to book a Chiang Mai Lunchtime Food Tasting Tour. With an experienced local guide from A Chef’s Tour, explore the local delights at the freshest market in the city and at over 20 unique foodie stops. Special thanks to A Chef’s Tour for the Sai Oua making experience in Chiang Mai. All views and opinions expressed are our own. Full bellies and happy taste buds too. No I haven’t had this type of sausage before and not sure where I would even start to look for something like this around here where we live. Does look delicious and we like our sausage. Try your local Thai restaurant, you might be surprised to find sai oua on the menu. Definitively worth seeking out. That looks amazing! I love the spices that you can get another person in the world that I cannot get here. If I could I would travel the world just eating food. This looks like an amazing experience. I would love to visit and try sausage making. I do enjoy sausage, so I’d want to try this. I’ve never tried thai sausage before, but I am intrigued! It looks cool. This sound like it was fun to do. I’ve never made any sausages before although I’d like to as that way you know exactly what’s in them. So much fun, Melanie. A delicious experience indeed. I have never heard of Sai Oua. How great that you got to make your own. I bet that was fun. A truly great experience to learn how to make the traditional sausage of Chiang Mai. Thanks for stopping by. Wow, these Thai sausages look amazing! Thank you for the close-up look into how they’re made and traditionally served! So glad you enjoyed the article. A truly unusual and fun experience. Worth checking out if your travels take you to Chiang Mai. Cheers, Jenn. These sausages look tasty. I bet my husband would love for me to make them for him or find him some in the city. So interesting that I found this post today! Our local thai restaurant has been selling Thai sausage lately and they have been posting lots about it. Then I was looking through blogs I like and found your post! So timely. Perfect, Pam. Make sure to try them and do let us know what you think. Thanks. 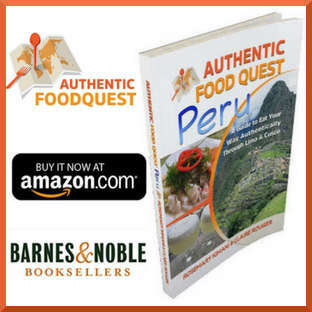 Experiencing authentic food is one like no other! I would love to have this experience. It sounds delicious. If your travels take you to Chiang Mai, Melanie. 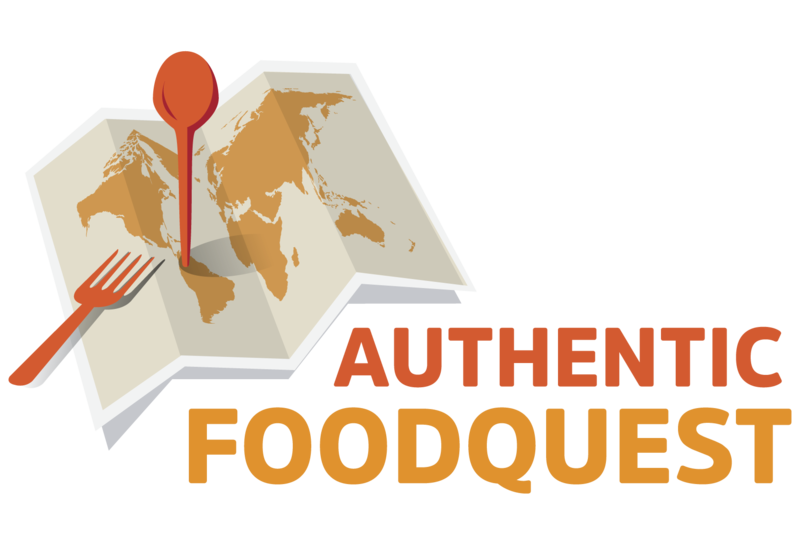 We highly recommend taking A Chef’s tour for local and authentic food experiences. There is nothing like a homemade sausage. it is amazing to have someone in your family who can show you how to prepare them from scratch. I bet they are so amazing! I’ve never heard of Thai sausage before. I don’t eat meat but I’m sure my husband would love it. My mother-in-law is a sausage maker. I haven’t had the privilege to make them with her but I know there is a long process but it is sure worth it. Try making the sausages with your mother-in-law, Terri. It is a fun and humbling experience. Cheers. What an incredible experience! 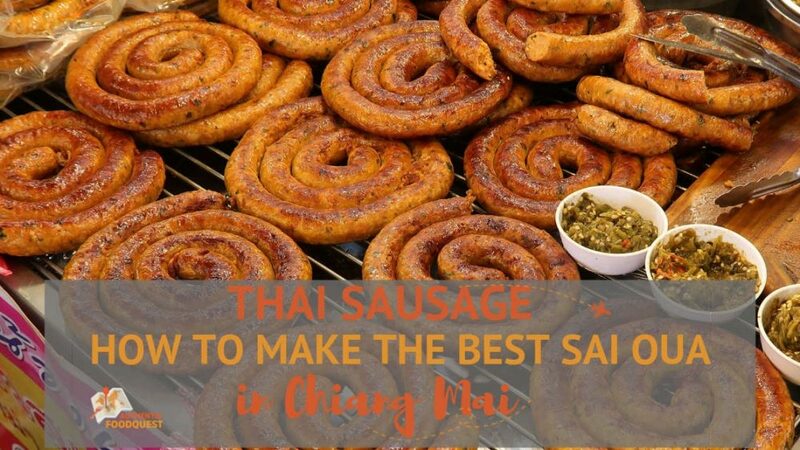 I don’t think I’ve ever had Thai Sausage, but I love Thai food – so I’d love to try it out. Thai sausage and in particular sai oua is amazing. You may find it at your local Thai restaurant. It’s worth searching for 🙂 Cheers. Oh man this sausage looks delicious!! I bet the spices in this are amazing! Truly delicious with fragrant spices including lemongrass. Look for it at your local Thai restaurant for a tasty experience. What an added bonus to get to meet Auntie Rod! Sounds like she’s definitely made a name for herself with her sausages. You are right Dennis, she is one of the best in Chiang Mai, and rightfully so. This Thai sausages reminds me of Filipino longanisa. With those spices added, I bet it’s delicious. We had longanisa sausages when we visited the Philippines. These are completely different, the use of lemongrass and Thai herbs makes the taste unique. Worth seeking out for sure. Thanks, Rose. This is so interesting and informative! It must have been fun to learn how to make the sausages. Now I want to taste it! So glad you enjoyed the article, Ruth. Try your local Thai restaurant, you might be surprised to find it on the menu. I love sausages and these look really good! I am drooling over these! We are so sorry we missed Chiang Mai on our visit to Thailand. I was good when I heard minced pork and herbs. The chili mixture would probably me an issue for us. Even the less spicy ones. We probably would like the Laos sai oua better. 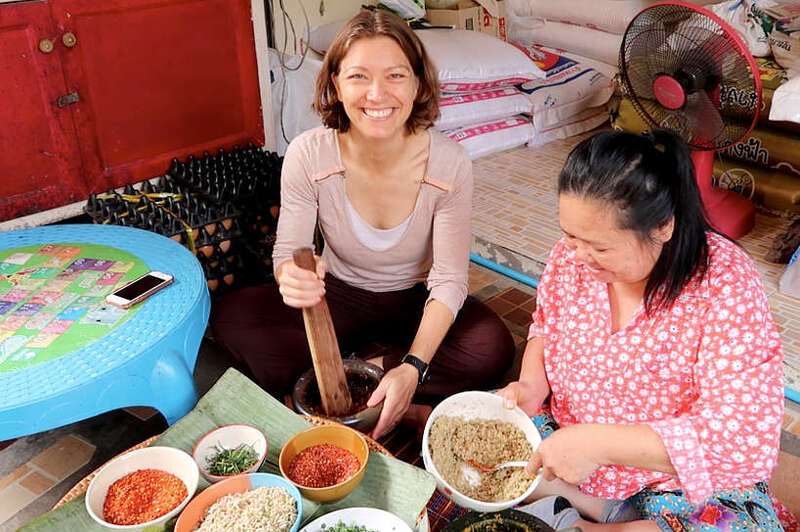 So good that you got to meet Auntie Rod on your adventure to learn how to make Thai sausage. I am sure the whole process took some practice to get good at the stuffing. That’s too bad you missed Chiang Mai, it is truly the jewel in the north of Thailand. Perhaps next time. Meeting auntie Rod was a treat as was learning how to make the authentic sai oua sausages. A fun experience for sure. Northern Thai sausages look pretty tasty and would be fun to make at home next time we have a barbeque. I’m not sure about the using casings made from real pig intestines though! Auntie Rod must be an amazing cook! I do LOVE Thai food, I’ve contemplated getting some Thai cooking classes, even if it’s just to make a decent red Thai curry. It looks like you had an amazing experience. If you love Thai food, taking a cooking class will only elevate your love for Thai food. Highly recommend it, especially if your travels take you to Thailand. Thanks, Tom. Thai sausages look cool. Nothing like making your own food in foreign land and having it too. Never knew the amazing ingredients that go into the making of sausages. You are right, Indrani. Nothing like learning how to make your own food from the local experts. A real treat indeed. I never heard of Sai Oua before (as I never been to Thailand or tried Thai food) but I am glad you said it was a sausage otherwise I would have thought it was a Thai curry. Looking at your experience, it looks harder to make than what I thought it would be. However would love to try it now as I do like my sausages. If you like sausages, you will love sai oua. The fragrance and flavors are amazing. Do seek it out if your travels take you to Thailand. I have been to Chaing Mai and Luang Prabang. But as a pescetarian, I have tried neither Thau Sai Oua nor Lao Sai Oua. I have enjoyed reading your post though. And, I absolutely loved vegetarian Khao Soi in Chiang Mai. Thanks Lisa. So much fun and wonderful experience with auntie Rod! 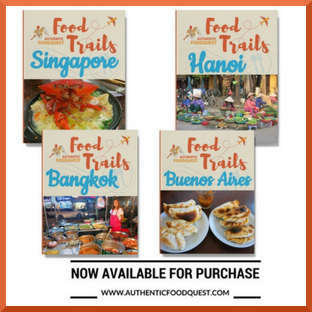 We highly recommend going on a food tour for a deeper appreciation of the local cuisine. 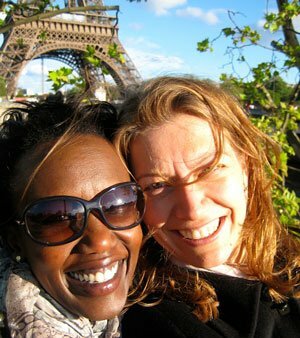 On your next trip, take a tour for an amazing experience. I’m not even sure if I have tried Thai food but I really want to now! So cool seeing the process of making it. It looks like it was a fun and informative experience. I loved reading how you had some good laughs trying to make it. I’m sure I would have some struggles as well! Thanks, Dylan. It was truly an amazing and fun experience. 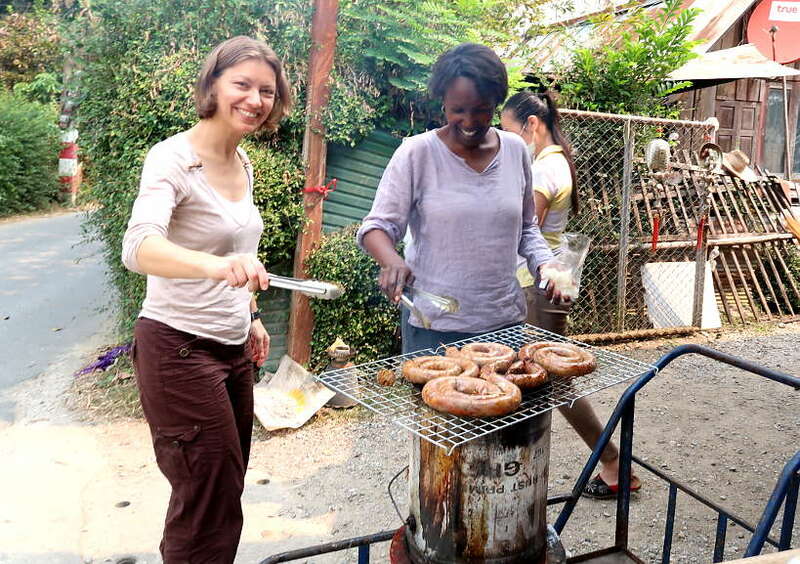 Hope you get to Chiang Mai soon so that you can learn how to make sai oua sausages as well. I haven’t heard of Thai sausage before, now I must eat it! Making it looks like a lot of work and I’m pretty sure I would fail at the stuffing process!